Reliability is Subaru EyeSight's name of the game. I’ve always been keen on high tech safety features, especially since I am far from being the perfect driver. I sometimes get distracted, and chances are, you too become distracted. Not only that, managing Manila bumper-to-bumper gridlock is also challenging. This is why car manufacturers have gone through great lengths to develop and implement high tech safety features in order for our species to move forward as the most intelligent form of life to walk on the surface of this planet, and what better way to reduce the chances of our own human race from failing due to our own mistakes than by creating a safety feature called Subaru EyeSight. All statistics point to us being distracted behind the wheel as one of the leading causes of accidents. This is why Subaru EyeSight is here to save the day, and then some. Rather than utilizing a more expensive radar or LIDAR technology, Subaru EyeSight’s two color cameras give a Subaru vehicle equipped with this safety technology an extra pair of eyes, literally. 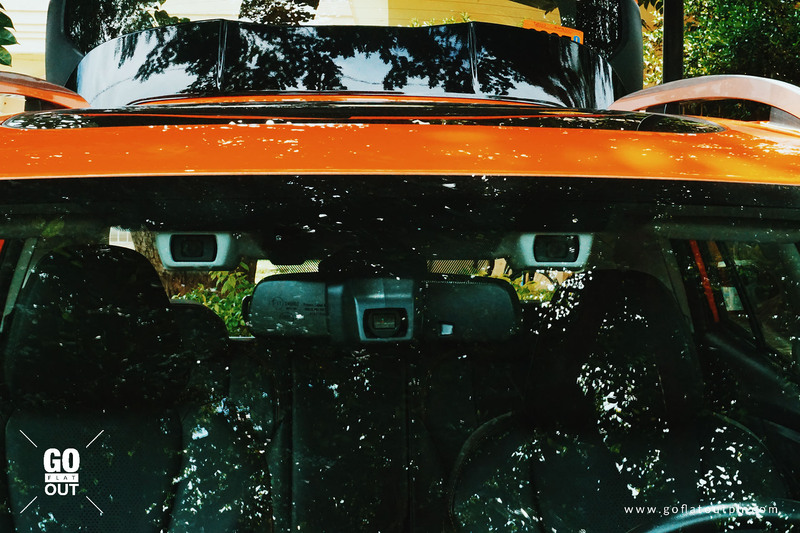 Because it is mounted on top of the windshield, as well as utilizing two cameras, Subaru EyeSight has the ability to perceive depth in the same manner as the human eye does. Do note that the third camera located just behind the rear view mirror is for the car’s high beam assist, and is a separate technology from EyeSight. Let me just clarify this. 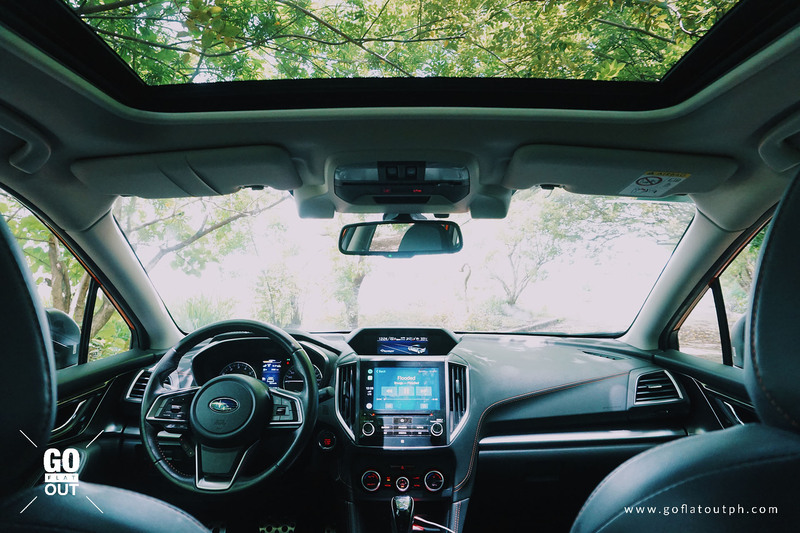 Subaru EyeSight only tackles the safety features that rely on the two ceiling-mounted color cameras. Blind spot warning with rear cross traffic alert and high beam assist are a separate set of safety features. 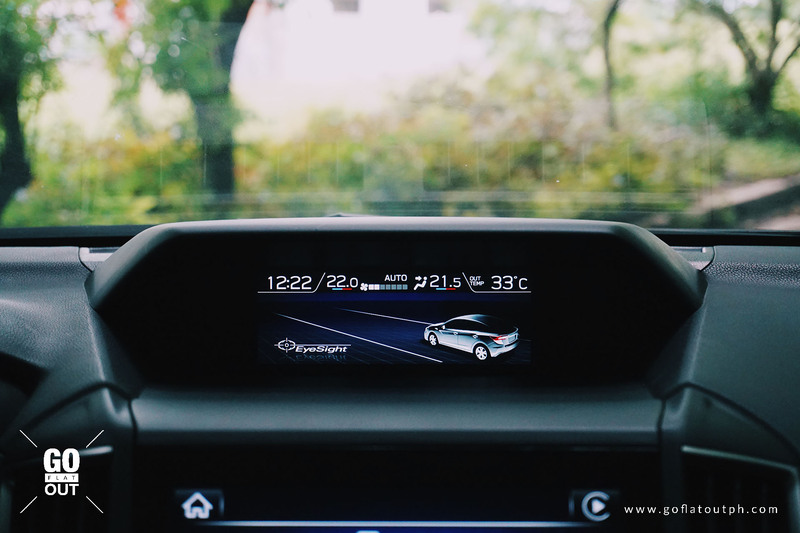 This is why you’ve most likely seen these features in some of the Japanese brand’s vehicles such as the Subaru Levorg, even if EyeSight wasn’t offered when it was first released. The controls for EyeSight are clustered together with the map lights, while the other safety features are either controlled via the multi-information display, or the panel located on the left, which is clustered together with the instrument panel brightness adjustment and the traction control system. 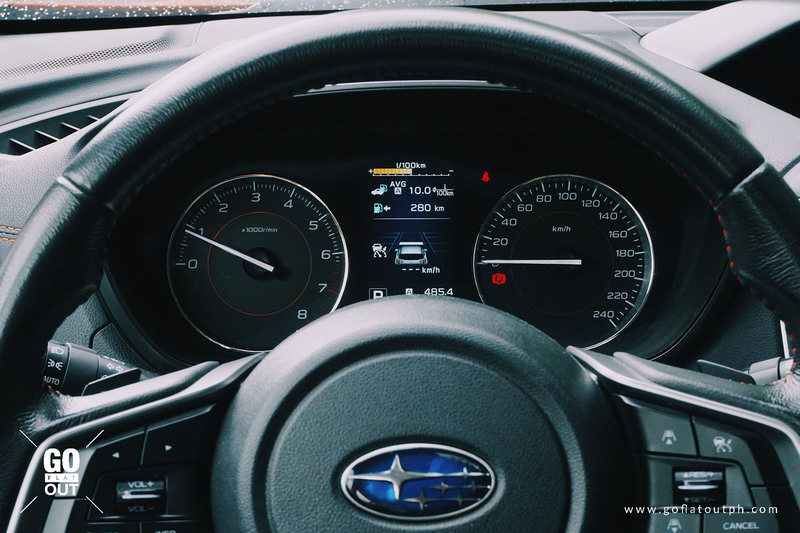 Subaru EyeSight is composed of six major features, namely, Adaptive Cruise Control, Lead Vehicle Start Alert, Pre-Collision Braking, Pre-Collision Throttle Management, Lane Departure Warning, and Lane Sway Warning. We’ll be discussing them one by one. Among EyeSight’s suite of active driver safety and convenience features, Adaptive Cruise Control is perhaps what I’m most giddy about, which is evident when you watch our video. More of a convenience rather than a safety feature, Adaptive Cruise Control takes the sting out of long distance driving. Adaptive Cruise Control not only takes care of the throttle, but also the brakes. The maximum speed, as well as the minimum distance to the car in front can be programmed via the steering wheel controls. What sets Subaru EyeSight apart from many active safety systems within its price is its ability to work even in stop-and-go traffic. 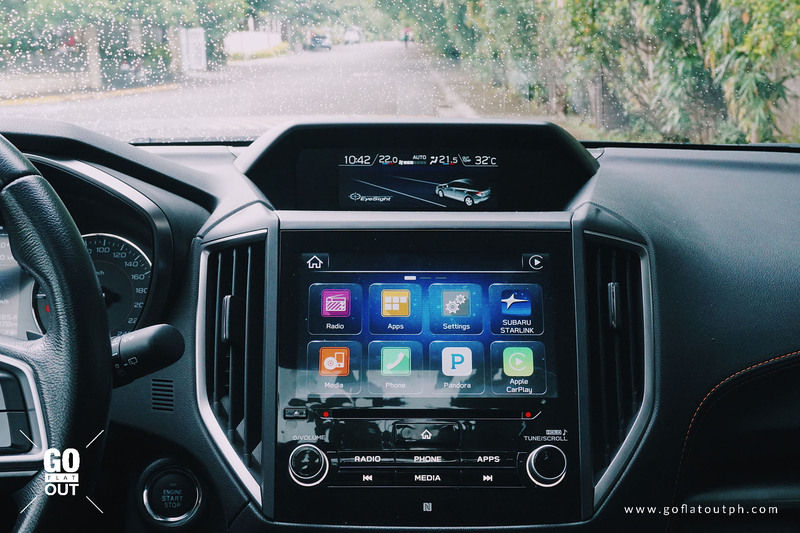 Adaptive Cruise Control systems from other cars such as the Ford Everest and Chevrolet Malibu deactivates once the vehicle goes below a certain speed, while Subaru EyeSight is kept activated even down to a full stop. What this basically means is that, even when you are stuck in EDSA, Subaru EyeSight can take the sting out of driving in heavy traffic jams. Once you’ve set your speed and distance through the system, all you have to do is be alert and keep monitoring your surroundings while the vehicle takes care of the throttle and the brakes. The good thing about EyeSight is that, even in its most minimum distance setting, the following distance is just appropriate enough for the driver to take action in case something goes wrong, or when the driver wishes to give a merging vehicle some space. While you may think that your Subaru has now become a self-driving car, do note that EyeSight still has its limitations, and you are still responsible if EyeSight fails to detect the vehicle in front of you. This especially holds true once the car in front of you moves forward. Subaru EyeSight won’t make the car move again on its own. Instead, you have to press the “RES/+” button on the steering wheel or tap the gas pedal in order for EyeSight to resume its operation. Otherwise, Subaru EyeSight will think you are distracted by your smartphone because it will then alert you that the car in front has moved forward. This is where Lead Vehicle Start Alert comes in. Lead Vehicle Start Alert notifies you once the car in front of you has moved, preventing you from getting into an awkward situation where the driver behind you beeps at you for not noticing that the car in front of you has moved. Lane Departure Warning is a safety feature that alerts you when you are drifting away from your lane, though unlike other systems, Subaru EyeSight does not provide active steering intervention or active correction. It’s purely a chime and visual warning affair. Though this is not necessarily a big deal for me, it would have been better if it provided at least a little bit of active steering correction. Meanwhile, Lane Sway Warning is a safety system that alerts the driver when the vehicle is swaying erratically, driving over one lane to another. A warning notification that says “Stay Alert: will appear on the multi-information display on the gauge cluster if EyeSight thinks you are driving erratically. Think of it as a simpler version of the Driver Attention Monitor found on a few vehicles nowadays. Pre-Collision Braking is your typical Automatic Emergency Braking (AEB), wherein if EyeSight detects that you are about to hit an object or a pedestrian, it first gives a set of audible and visual warnings. If you are able to respond, EyeSight gives assistive braking, multiplying the brake’s stopping force even if you do not step hard enough. In the worst case scenario that you are unable to respond, EyeSight has no choice but to automatically apply full braking force. Its effectivity is excellent, as it can completely avoid a collision at speeds of up to 50 kph. Beyond that, and the damage sustained in a crash is only mitigated. 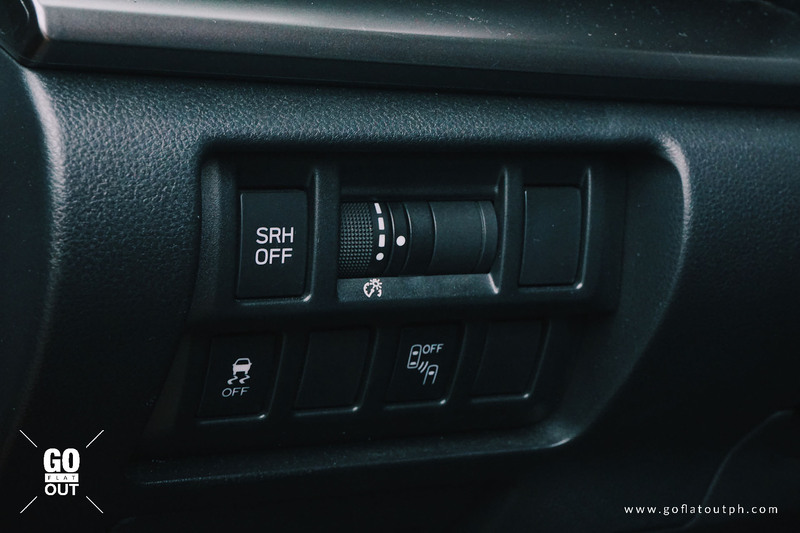 Do you know the situation wherein you are parked in front of a wall, and rather than selecting reverse, you either select drive or first gear. If you fail to realize your mistake and then you step on the throttle, everything is already too late. Pre-Collision Throttle Management prevents this from happening in the first place. If you think this is a cure for “Sudden Unintended Acceleration” or “SUA”, then you’re on the right track. The best part about Pre-Collision Throttle Management is how well though out the system is. 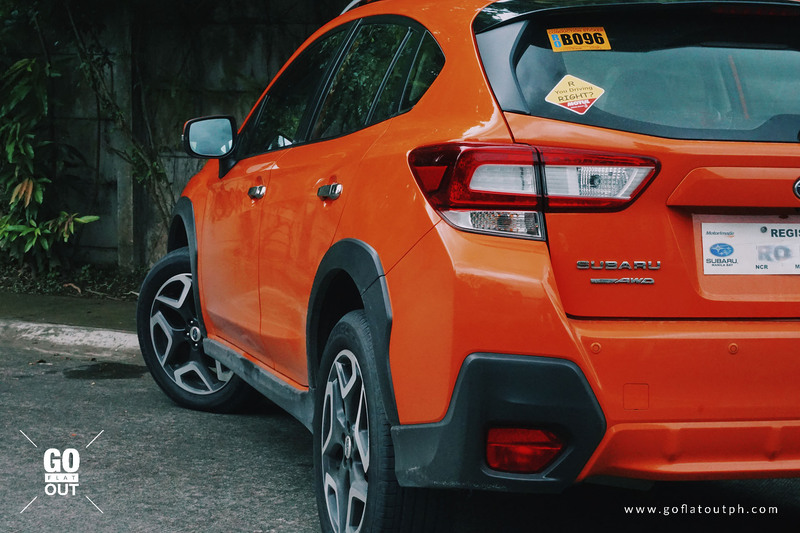 Jake Orogo from Motor Image Pilipinas, the official distributor of Subaru in the Philippines, tells me that the system only holds the vehicle for a certain amount of time that you are stepped on the throttle. This is because, what if the driver is in a sticky situation wherein it needs to ram a vehicle or a fence in order to escape certain death? Amazing, right? While not exactly part of Subaru EyeSight, Rear Automatic Braking is worth a mention. Through the four rear sensors, not only does it give warnings on how close the vehicle is to the object behind, but also, it can bring the vehicle to a stop if the sensors detect an object from the rear. Combined with the available blind spot warning with rear cross traffic alert, backing out of a narrow spot should be as easy as pie. The best part about Subaru EyeSight is how reliable the system is. Late to the party they may be, as other manufacturers have already brought in similar systems in our market, Subaru certainly took their time well and really did their homework. 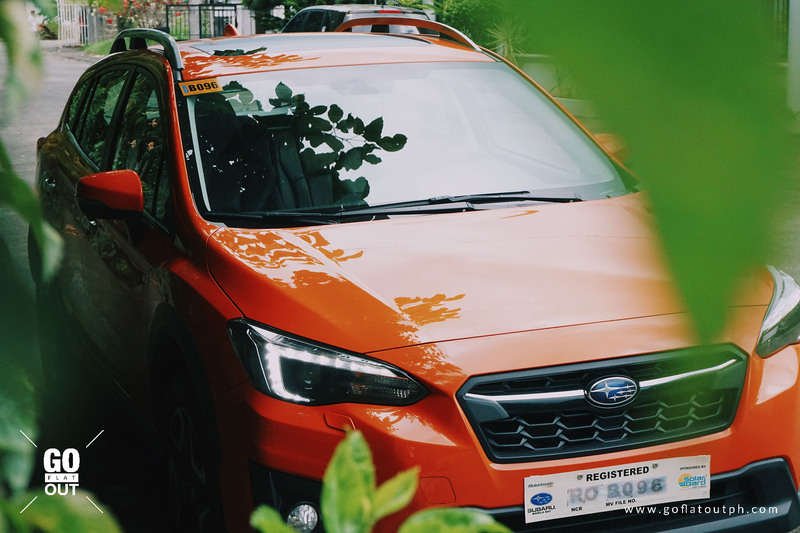 Subaru EyeSight is one of, if not, the first to offer the most reliable active driver safety gear in the Philippine market. All of its features performed reliably, not giving a single false alarm or false emergency stop during the entire time the Subaru XV was with me. Its Adaptive Cruise Control also offered me a glimpse of how an autonomous driving future might fare through the chaos of EDSA. With the case of Subaru EyeSight, the future looks bright, and not that expensive, too. 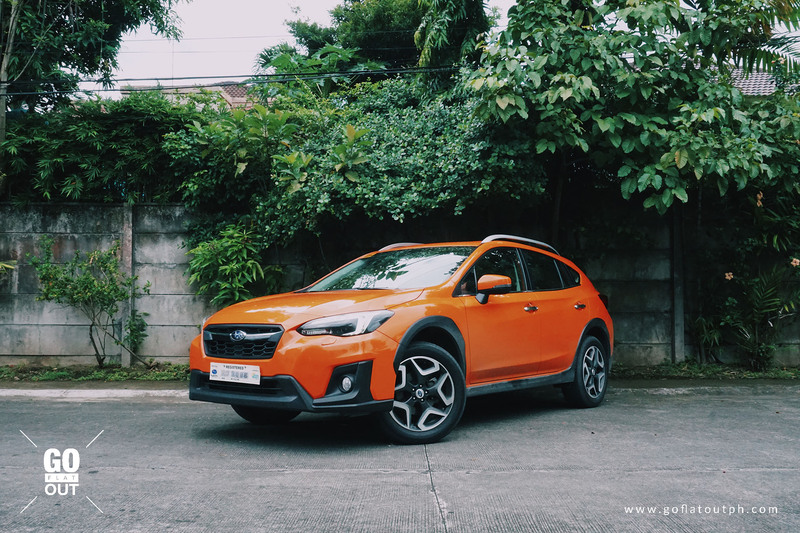 The Subaru XV 2.0i-s starts at P1,618,000, while the addition of EyeSight adds a mere P50,000 to the car’s MSRP. Think of it this way, if an additional P50,000 seems expensive, think about the potential repair costs if you ever get involved in an accident. Consider Subaru EyeSight not just a safety and convenience feature, but also your insurance. Just let the system avoid a collision once and consider the P50,000 cost recuperated, as it has saved you from a potentially expensive repair bill. Vehicle safety is more important than ever, and it’s something I highly consider when rating vehicles. Safety isn’t the most interesting topic to talk about, but in order for us to move forward, it’s about time we should start considering technologies that avoid a crash in the first place. It certainly doesn’t hurt to have an extra set of eyes on the road. As this will be Go Flat Out’s first driver assistance tech review, I’d like to first introduce you to the metrics on how we’ll evaluate EyeSight’s performance. Calibration: This metric is based on how sensitive the system is, and whether it will give any false alarms or false emergency stops. Performance: This metric is based whether the system provides audible warnings, visual warnings, active system intervention, or a combination of the three. There are also systems whose active intervention has its limitations. Ease of Use: This metric is based on how easy it is for the driver to operate the system. This is however, somewhat subjective, and some drivers may find one system easier to use than others. Cost: This metric is based on how affordable a safety system is. Some offer it only on their highest variants, while others are available as an optional extra.